If you have junk lying around it's natural you want Battersea junk removal service and the best company you can hire for that is Rubbish Removal Battersea. Operating right across Battersea, we have been removing all kinds of items from all kinds of properties and spaces for many years. Our team of experts are just the kind of workers you want on the job. Hard-working, fully trained and polite, they get on with the junk clearance task in hand ASAP. In every kind of situation you will be delighted with the work done. In addition, our lower prices mean you have the added satisfaction of not having to spend a lot of money. We work for both commercial and domestic clients. Office clearances are a regular part of our overall work and taking away all kinds of business equipment no longer needed. If you want to free up space in your home by de-cluttering it then we are the essential, convenient and cost-effective way to dispose of different items. If you live in SW11 area we can also help you with loft clearance, garage and garden clearance. In and around any property, the transformation which takes place thanks to our service never ceases to amaze and impress. To find out additional information immediately to that given here you can call us on 020 8610 9064. Our professional credentials are also second to none. Covering postcode areas such as SW8 and SW11 we are fully licensed for waste removal and all work is carried out legally, to the letter of the law. 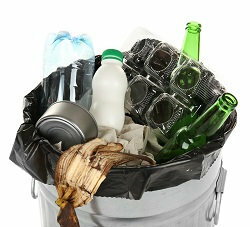 Amongst other things, we dispose of any items we can't recycle in designated refuse sites. We do recycle as much as we can however as part of our environmentally friendly junk clearance SW11 working procedures. You'll be hiring a professional company that cares about the environment just as it cares about the high standard of work it carries out. We can deal with every kind of junk collection right across Battersea. If you're not exactly sure what it is you're removing, it cannot just be a dirty business but a dangerous one as well. It really makes sense on so many levels to hire our junk removal company because we have the skills and expertise so you don't have to worry about anything. Space is cleared whether it's in the home, business or on open land. Throughout Battersea our rubbish removal is the best service you could possibly hire. We care about the local area and have been part of the local community for many years. A cleaner environment is in all our interests and in particular your own when you simply want a space cleared. When you contact us, we arrange a time and date that is suitable for you where we can pick up the refuse, load it into a van take it away. Even if it's not possible to recycle it, we take it to an approved rubbish site. You don't even need to be at the property when we arrive as long as we have access to it. We try to make the service as convenient as possible for you and we try to be as flexible as we can. We know through experience that every waste removal job is unique and needs to be treated as such. Your own individual circumstances will be taken into account which in effect gives you a customised rubbish removal service you won't get with any other comparable company in in SW8 area. So make sure you make the right choice when you want to remove junk from any place and call Rubbish Removal Battersea. We really are the simple solution to junk collection of every kind. With our prices so pleasingly cheaper than elsewhere, it gives you an even greater incentive to call 020 8610 9064 today and hire the junk removal service in Battersea SW11 that beats all others hands down.